Techtextil in Frankfurt has developed into one of the most important trade fair venues for industry, science, research and young start-ups in the field of technical textiles. Visit us in Hall 3, Stand B15 from May 14 - 17. Contact us to schedule a meeting and team up with ANDRITZ. ANDRITZ will present its new teXcal Raconip TT textile calender, which will set new standards in the processing of technical textiles, among others, in Hall 3, Booth B15. The unique success story in the field of high-quality textile calenders will thus be consistently continued. Overall, ANDRITZ focused on versatility and flexibility in the development of the new textile calendar, properties that should improve the plant operator's competitiveness. ANDRITZ will also present its new wetlaid technology for processing glass fibers. This development definitely outshines much of what the market has to offer so far. 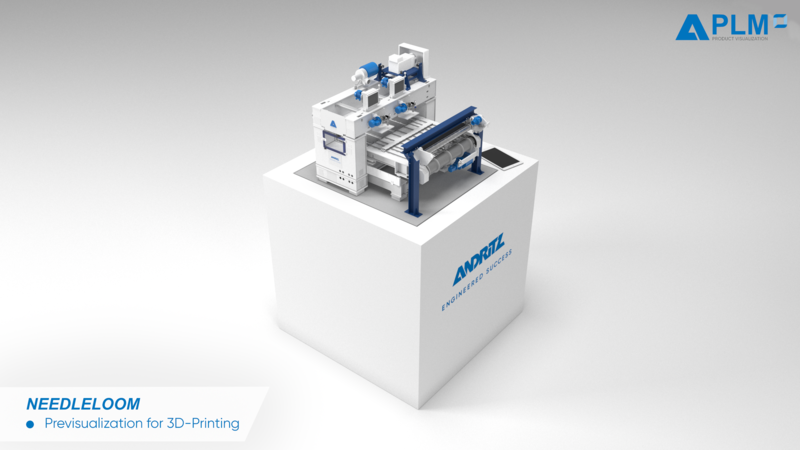 ANDRITZ also offers a deep insight into its needleloom technology, the heart of every needlepunch process. With a 3D-print model of the SDV-needleloom (verlours needleloom) on its booth in conjunction with Augmented Reality (AR), the visitor can gain a unique insight into the ANDRITZ needleloom technology as well as in the smart service solutions, aggregated under the name METRIS. According to our goal of a consistent customer orientation, Service, support, maintenance and spare parts management will also be available as a topic for customer dialogue at IDEA. "THE TECHTEXTIL IS THE IDEAL PLATFORM TO PRESENT THE LEADING ANDRITZ PROCESS TECHNOLOGY FOR TECHNICAL TEXTILES, FUNCTIONAL TEXTILES AND OTHER INNOVATIVE TEXTILE DEVELOPMENTS!"